On behalf of those who attended the OSSEMOOC presentation and discussion last night, I want to extend a sincere thank you to guest presenter Rob De Lorenzo for providing an interesting presentation which set the stage for an engaging conversation. The recording of the session is available [HERE]. The recording includes the slideshow, presentation, discussion and chat conversation. Note: Listening to the recording follows a similar process to joining the OSSEMOOC meeting room. (click the link, download and open the .collab file). 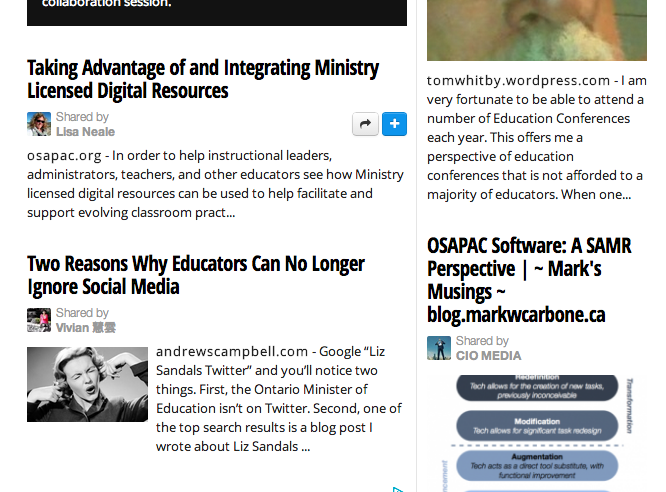 Read The Mobile Learner blog. Join us for a session on Mobile Learning with guest presenter Rob De Lorenzo. Rob has been involved in mobile learning as long as I can remember. Back in 2007, when most people had not heard about web 2.0, Rob was already predicting the importance of mobile technology for learning. 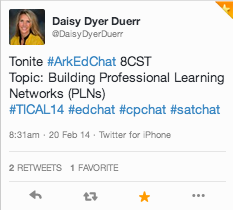 What Works in Professional Learning? Sometimes we don’t need a focus, a topic, a leader. Sometime we just need time and a place to have a conversation. How do we do this for teachers, school leaders, and system leaders? Share your thoughts through comments, twitter or your own blog posts and tag with #ossemooc. So maybe you have never been to an edCamp, and you are curious about why they have become such a popular way for people to learn about education. If you have not attended an edCamp, today is a perfect day to just lurk and observe from a distance, or share in the learning through the Twitter feed. Mark Carbone links you to what you need to know here, and Donna Fry explains why the weather doesn’t have to be a barrier to learning here. 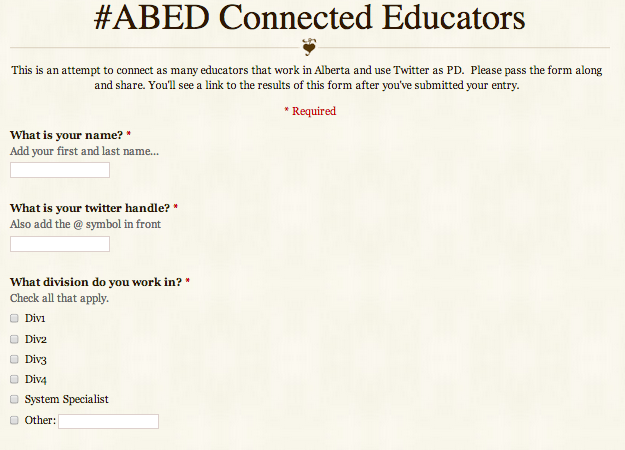 Join us for connected learning driven by the needs of educators at #EdCampWR! It’s a “snow day” in most of Ontario today. What better time to take a few minutes and CONNECT with other educators! Friday offers the perfect opportunity to get on twitter and find great people to learn from. Search the hashtag #FollowFriday (or #FF) as all day people recommend other Twitter users to follow. Doug Peterson (@dougpete) is one of the best promoters of connecting Ontario educators. He religiously posts his #FollowFriday lists of Active Ontario Educators and today is the day to link to those active sharing people and do professional learning 24/7. Not on Twitter yet? Email ossemooc at gmail.com for help. 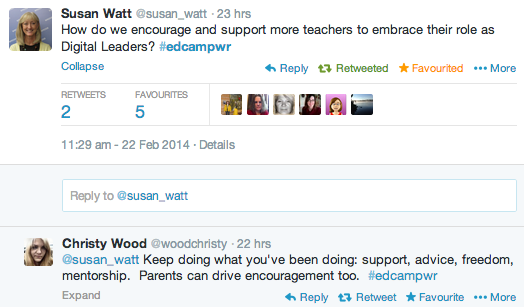 #OSSEMOOC found this testimonial on Twitter this morning. It says it all! And this: Other jurisdictions, learning, connecting, building professional learning networks. The capacity is in the network! This morning, we saw how Alberta is also working to connect educators! Please feel free to browse. Follow this blog for automatic updates. Email ossemooc at gmail.com for help or with questions. We are here to support your learning! This evening, OSAPAC is hosting a conversation about Connected Learning for Leaders (and aspiring leaders). Job-embedded professional learning opportunities is a key component of the Ontario Leadership Framework. Connecting with other educators throughout the province and around the world allows for professional learning on demand 24/7 and rich conversations around professional practice. Please connect around 7:30 to allow time for the necessary file downloads. Feel free to email me if you have any technical issues. Please share this information widely with your colleagues. We look forward to sharing our learning and connecting with you this evening. If you are unable to make the event this evening, the session will be recorded for viewing asynchronously.